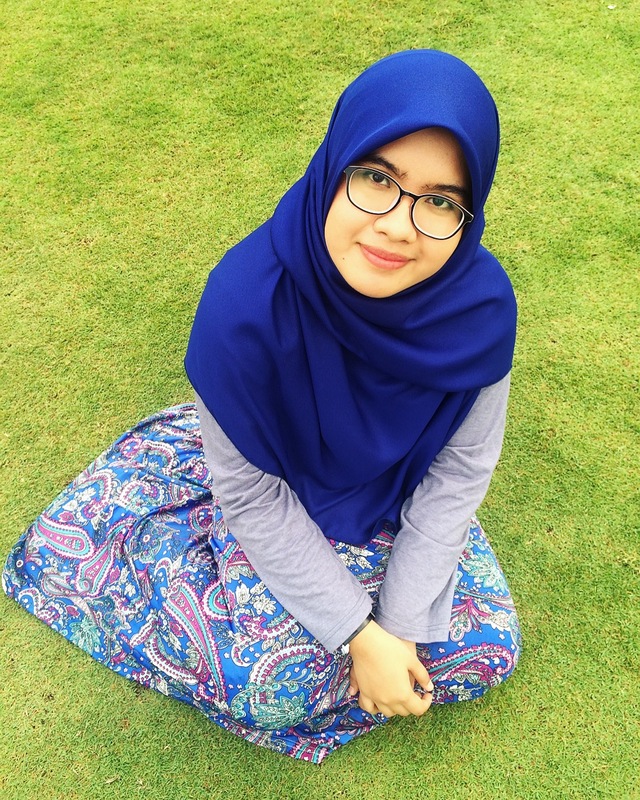 Assalamualaikum and greetings my fellow readers ! As I have lots of leisure and relaxing time due to my semester break, I decided to create a mission specially for myself to gain perfect health. Health is wealth, right? Besides health, I also insist and demand to get back my fit body just like the old days. As you can see, my body is not the type where my weight can increase drastically if I’m not doing any exercise and watching my meals. I love to eat and I can eat everything especially junk food. Oh my. Fast food is the best. Ohh Burger King, why do you have to be so tasty and even cheaper from any burgers I ever tried??!! Yeah. They do have some promotions on certain food. I love it ! Take it easy, Alia. Focus, focus. I already plan to jog during the weekends after my new semester started. I want to know how does it feel running on the real tracks in a stadium? Yeah, I’m studying in UiTM Shah Alam and they do have an official stadium. Cool huh? Now, at home, I want to do something that I don’t really have the chance to do when I started to leave home for hostels. What is it? The one I did is the simplest to be done. I don’t have any mint leaves so I’m just using lemon and cucumber slices or wedged. Haha. It doesn’t matter how many slices but make sure they are compatible with how much quantity of water you’re gonna use later. Slice ’em up ! You may use lemon juice instead of the lemon slices but I prefer the slice as the skins and the remaining flesh after you squeeze the juice out also contain the nourishment and vitamins. It is better if you just put all the slices altogether and it is even more easier than the squeezing. Ohh also forgot about the cucumber. I’ve been talking about lemon and already neglected the cucumber. Haha. The cucumber also need to be sliced. 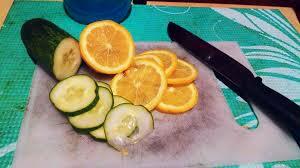 I prepared five slices for both lemon and cucumber. Now its ready to be filled in the water bottle. Put all of them altogether into the bottle. Yeah, we already done. Pour the water until its full. Not that anybody asked, I’m using a 500ml bottle water. Ready to be refrigerated overnight. For the best refreshment, it is better to be served cold. Today, I’m gonna try it. More to sour taste of course because of the lemons and I can taste the cucumber extracts and odour. The taste is quite pale and more focusing on the sharpness of the sour taste. It is refreshing and I believe that if I have the mint leaves, it will be better but still I love the natural taste. 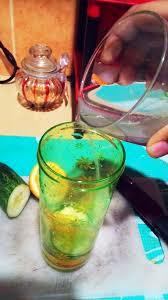 The water turns a little bit chalky as the lemons and cucumber essence are extracted out into the water. All I can say, it is naturally awesome. Using ingredients from directly from mother nature is the best way to provide numbers of benefits to our body to gain healthiness and lemons plus cucumber is one of them. My breath do smells like lemon right now ! Hahaha. Why is that? It is because lemons has the ability to disinfect our mouth thus making it smells nicer. Isn’t it great? Now you don’t have to fight for nice smelling breath and brushes your teeth more often. Just take a sip of detox water and you can strikes down the road confidently. Have you ever heard about homeostasis? There you go. The science talk again. Haha. Its define as the ability of our bodies to maintaining the internal and external environment of the bodies. It is very important to stabilizing the body system and lemon juice can helps to make the hoemostasis job to be more easier. 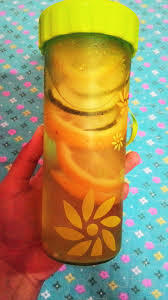 By drinking fresh lemon juice is actually good for maintaining a balanced pH level in the body. Most people assume that lemons are highly acidic, when in fact they have incredible alkalizing properties. Who doesn’t want our belly to be relieved before and after you taking your meals? Lemon juice contains acid that is very similar to the natural juices produced by the stomach. Ingesting fresh lemon juice will therefore help in keeping the digestive system on tract, which allows food to be digested properly and more quickly. This is highly beneficial to those who often suffer from indigestion, bloating, and heartburn, all of which can be painful and inconvenient. Detox already mean cleanse. Keeping your body clean leads to more energies production because we already remove all the wastes which is not useful for our body system and that is why I feel more energetic now! When it comes to skin cares, I’m getting excited. Well, I’m a girl, right? Hehe. One of the little known benefits of lemon juice is its anti-aging properties. The acid from the lemon juice contain concentrated levels of antioxidants, which help flush out toxins and free radicals from the body. The process of detoxing allows proper cell regeneration, which then manifests by way of glowing and younger looking skin. Vitamin C also promotes the production of collagen, which is a type of protein that is responsible for the skin’s elasticity. OMG. This is happening right now. After drinking the detox water I prepared, I had went to the toilets like several times until my urine colour turns clear. This is the detoxing process. It really works ! Here some explanation. Since lemon juice is a natural diuretic (beverages/substances that make you urinate often and in large volumes), making a daily habit of drinking it ensures that you have a cleaner (and more functional) urinary tract. In the long run, this would also have cumulative detoxing effects since the body disposes waste materials through urine. Flushing out liquid waste at a much faster rate reduces the risk of accumulating bacteria in the body, thus preventing a number of diseases such as urinary tract infection and many others. Thanks for cleaning my bladder ! AHAHH! This is what I’m looking for. Losing some weight is clearly my mission right now. How detox water helps in losing weight? For people who are desperately trying to lose weight but are often overcome by nagging cravings and urges to binge, the daily lemon juice-water routine is a great trick to use. Not many people are aware that lemon juice works well in terms of curbing a person’s appetite, thereby allowing him/her to effectively lose weight. In fact, most at-home detox diets involve the use of freshly squeezed lemon juice, which is not only good for getting rid of toxins but also for reducing appetite for solid foods. The lemon juice allows you to feel full and satisfied for longer periods, which eliminates snacking in-between meals. I don’t think there would be any side effects from natural ingredients unless you have any allergies towards any of the ingredients used. 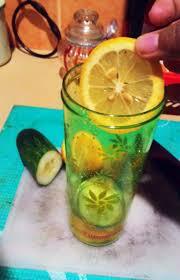 That is all I can describe about the remarkable and awesome benefits of detox water. Actually, it has lots of advantages and it is a good source to get a healthy body. It is also very simple and easy to prepare so you don’t have to go through the difficulties and hassles in order for having the wealthy of health. 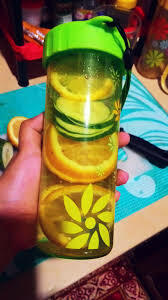 Ohh before I end this, after I drink the detox water, I recycled the lemon and cucumber slices to prepare the new detox water. My aim is to have that drink everyday especially before taking my breakfast. I will post the result after a few weeks. There are lots of other ingredients for making detox water as long as you’re using natural remedies such as fruits and vegetables.